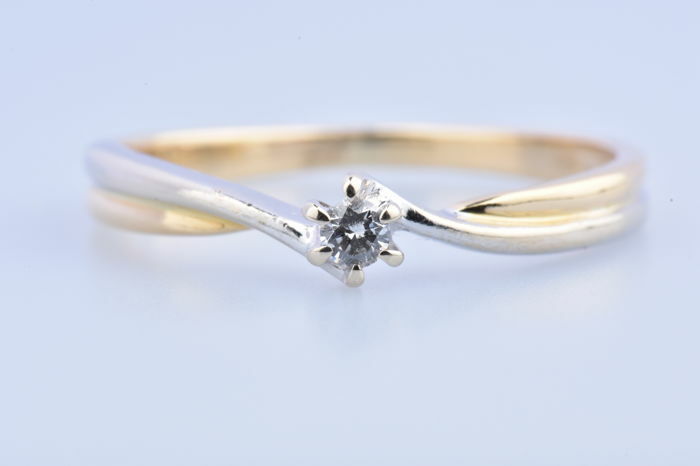 Magnificent solitaire ring in two colours, in 18 kt gold (950), consisting of 1 round brilliant diamonds of 0.06 ct, set on 6 prongs. 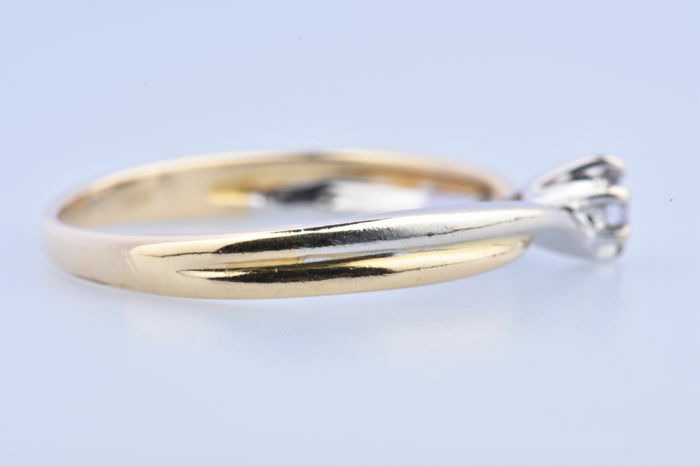 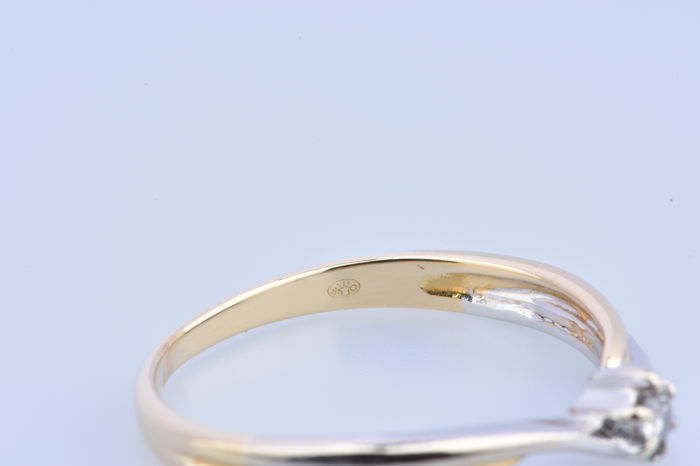 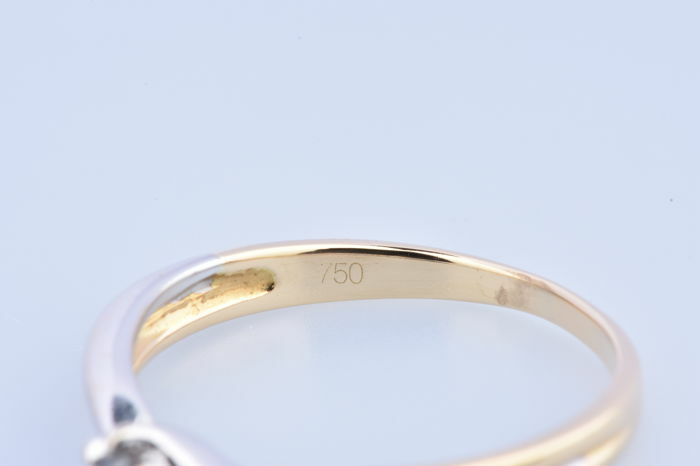 "750" gold hallmark present on the item of jewellery, authenticated in our workshops. 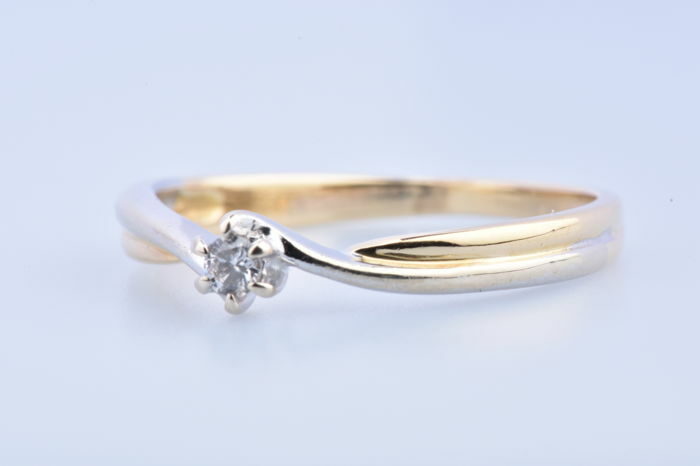 It can be resized at our expense*, ask before shipping (*free for downsizing; we ask for additional fees if we have to add gold). 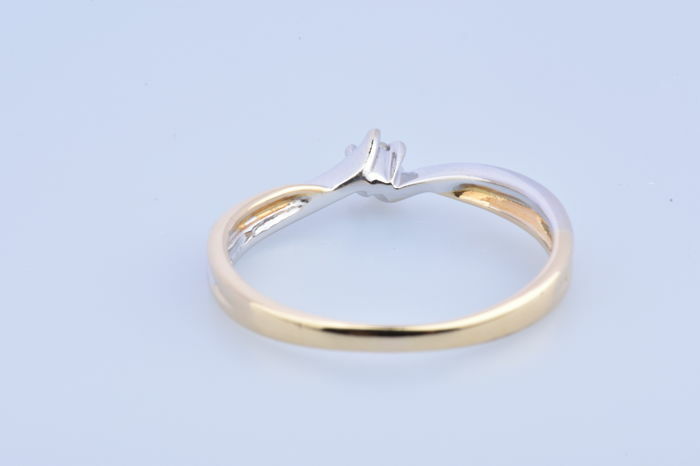 Secure and insured shipping via our transporters depending on the destination country (TNT, DHL, FEDEX...). 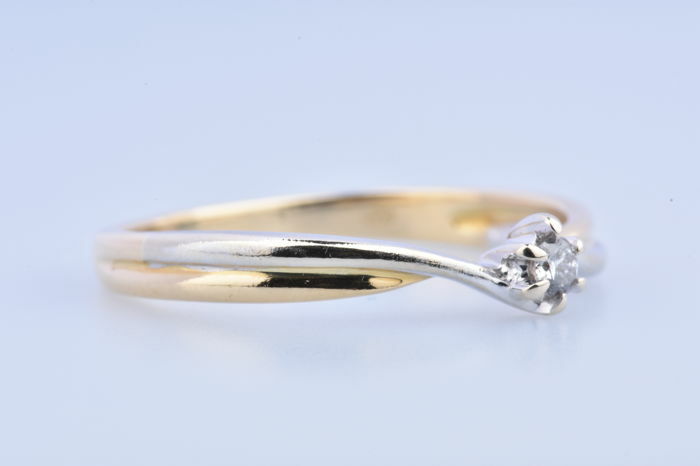 Second-hand item of jewellery; see the photos to form your own impression. 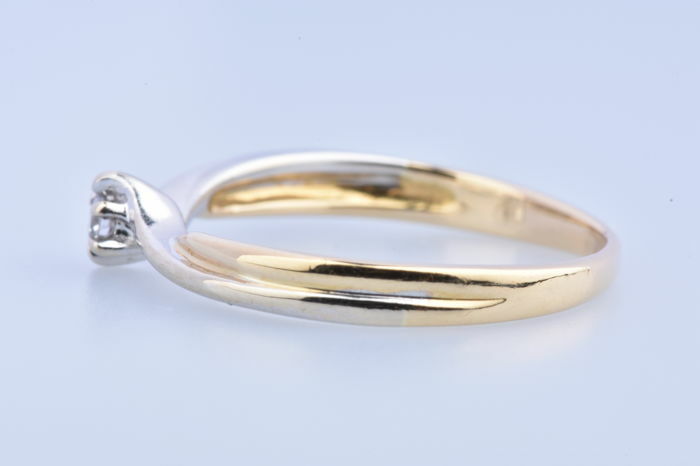 Unique piece; a timeless, feminine, original and elegant fashion accessory.